April 2014 - Team Discovery Ltd.
How does Google separate popularity from authority? 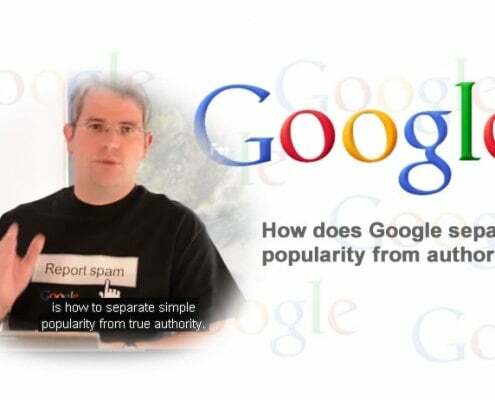 How does Google separate popularity from authority? "As Google continues to add social signals to the algorithm, how do you separate simple popularity from true authority?" https://www.teamdiscovery.co.uk/wp-content/uploads/2014/04/popularityfromauthority.jpg 462 710 dgurrea https://www.teamdiscovery.co.uk/wp-content/uploads/2019/03/tdl-logo-v2k19.png dgurrea2014-04-10 08:06:412014-10-13 13:04:26How does Google separate popularity from authority? What is a "paid link"? What is a "paid link"? "Can you talk about the webspam team's criteria for whether something is a "paid link"?" https://www.teamdiscovery.co.uk/wp-content/uploads/2014/04/whatisapaidlink.jpg 462 710 dgurrea https://www.teamdiscovery.co.uk/wp-content/uploads/2019/03/tdl-logo-v2k19.png dgurrea2014-04-10 08:04:472014-10-09 13:19:50What is a "paid link"?